Published: Dec. 23, 2016 at 02:58 p.m. Updated: Dec. 23, 2016 at 03:37 p.m. It's Championship Week. It's a time for actions, not words. We're not wasting time. Let's get to the stockwatch. He's baaaack! After missing the past two weeks with a toe injury, Julio Jones is expected to be back in action this week against the Carolina Panthers. 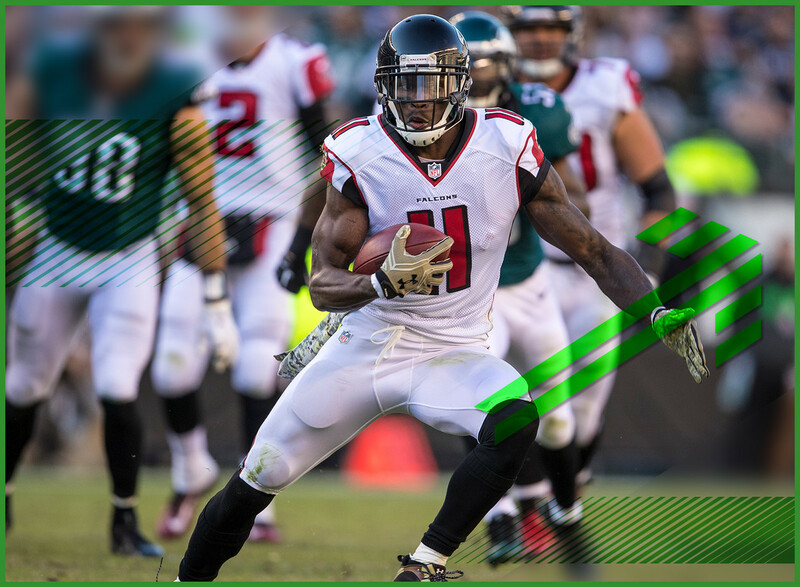 The Falcons have found a way to succeed offensively without their star, but there's no doubt that Atlanta runs a much more efficient ship with Julio in the mix. If he's on the field, you're starting him. The return of Green has been rumored for a couple of weeks and it looks like this is finally the week that he'll be back on the field. The matchup against the Houston Texans isn't the most friendly one on paper, but Green will continue to be the target monster he's always been. That makes him worth a start. Both the Chargers and Gordon were hopeful that the running back could return for this week's game against the Cleveland Browns. But after missing practice earlier this week with knee and hip injuries, it's looking pretty doubtful that Gordon will be available. That means another heavy workload for rookie Kenneth Farrow against one of the NFL's worst run defenses. We've been telling you for weeks to not play Adrian Peterson -- advice that was reinforced by his poor performance in last week's loss to the Colts. This week, the decision has been made for you. Peterson has been ruled out of this week's game against the Packers. You have one less thing to worry about this holiday weekend. We're not sure of Jordan Reed's status for this weekend, but if last week was any indication he was in extreme amounts of pain on the field. If Washington is kind to us fantasy folks, they'll just put us out of our misery and rule Reed out this week. But even if he plays, it's hard to imagine him being being productive which is potentially good news for Davis. We've been waiting all season for Green and while we got one good game, that might be all we can count on from him this season. The Steelers tight end is dealing with concussion symptoms and is looking quite unlikely to play this week. His absence means an increase in snaps (and probably targets) for Jesse James, but the matchup isn't particularly favorable for him. It didn't make a lot of sense for the Jets to put an injured Forte into a blowout game last week, but they did. One week later, it doesn't look like the veteran will be available for this week's contest against the Patriots. That means another heavy dose of Bilal Powell. That's the good news. The bad news for Powell is that the opponent and potential game script could impact his opportunities. It looks like Fiedorowicz should be out of the concussion protocol and ready to go this weekend against the Bengals. It will be interesting to see what kind of a rapport he has with new quarterback Tom Savage, but with Cincy's secondary doing a good job this season locking down receivers on the outside there should be room to operate in the middle of the field. Oh ... and there's no Vontaze Burfict. So that's a good thing. It's always a positive when a talent like Moncrief can get back on the field. But his return from a hamstring injury comes with a caveat. Indy's No. 2 receiver has been extremely touchdown dependent this season. In his eight game, he's yet to post more than 64 receiving yards. The upside is that before being blanked in Week 14, he had scored in five straight contests. However, it all feels too risky to take a chance on this week. Generally speaking, Hooper hasn't done enough to merit a lot of fantasy consideration. But the Falcons tight end is staring at a great matchup against the Panthers this week. The problem is that Hooper is unlikely to play because of a knee injury. In that case, the next man up is Levine Toilolo, but it's hard to have anything close to the same level of trust there.